There was a time, when we had one Yoga teacher training course. 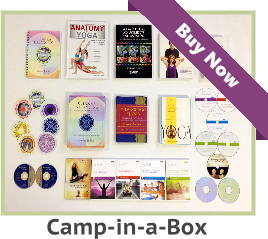 The original Camp in a Box was located on a five page website for years, but times change and we receive many requests from those who teach Yoga and those who want to teach in the future. We developed specialist courses for Prenatal/Postnatal and Restorative teachers. 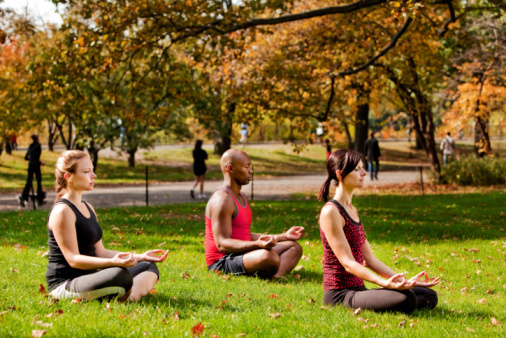 Yoga instructors often desire to reach out to specific groups of people. For this reason, we kept developing courses, which would help teachers who want to specialize. Below is a compound question related to our 200 and 240 hour Yoga certification courses. Q: The style of Yoga I prefer is Vinyasa, I saw you also had an instructor’s training in this style. Now which do you recommend? You have the Camp in a Box, the Recycled 240-hour version, the Camp in a Box Basic, and the Vinyasa Yoga Teacher Training Course. How do they differ? A: People are guided by their passion for a subject. You stated: “The style of Yoga I prefer is Vinyasa.” With that said, will any other course honestly meet your needs? However, let’s review these four courses and compare them to each other. 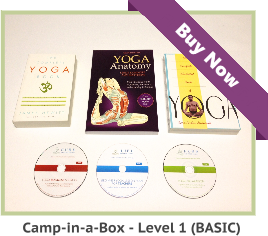 The Camp in a Box and the Recycled sale: These two 240 hour Yoga teacher correspondence courses are the same course. The biggest difference is the Recycled sale materials have been used by an intern at our facility, or the materials arrived new, but were scuffed, scratched, or dented in transit to us. However, they have been inspected and are guaranteed to work. 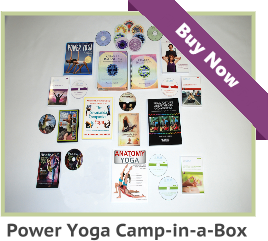 The Camp in a Box, and the Recycled sale courses, are for teachers who want to reach the largest audience students. These courses are Hatha Yoga based. As a result, they focus on every aspect of Hatha Yoga. The 200-hour Camp in a Box basic is a streamlined and slimmed down version of the original Camp in a Box. The foundational knowledge, which every Hatha Yoga teacher should know, is the bedrock of this course. There is one DVD about marketing and business included as an elective part of the program. The 250-hour Vinyasa Yoga Teacher Training Course is a specialist program for teachers who feel that they are going to teach active crowds that crave a lot of movement. If your heart calls you to Vinyasa, you may want to take a closer look to compare it with the other Yoga courses we offer. All of these courses have a foundational written exam and each one evolved as a result of requests from existing Yoga teachers and those who aspire to teach. Just as a glimpse into the future, we plan to develop a platinum line of courses, which will give interns a deeper grasp of anatomy, assisting, and modifications. We also plan to develop Hot, Power, Yin and Yoga therapy courses for teachers who have requested them. We do listen to your requests, while we work on research and development.